Singer-songwriter Rachael Sage showcases fellow independent artists for worthy causes via The New Arrivals series on MPress Records. The recently reissued New Arrivals: Volume One features Jill Sobule, Girlyman and Edie Carey supporting Hurricane Relief. The follow-up has Sage, along with Gregory Douglass and Melissa Ferrick, benefiting World Hunger Year. All of the proceeds from both collections aids the said organizations. A release party for New Arrivals Volume 2 is set to take place on June 6 at The Hard Rock Café. 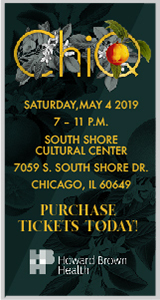 Also while in Chicago, Sage will be performing at Homolatte at Big Chicks on June 5. Check out Sage's video for Wildflower. Anne Heaton, Rich Overton and Randy Jones, the original cowboy from The Village People, make cameos in the clip. One of my favorite songs is Joan Armatrading's Love And Affection. How could I forget Melissa Etheridge singing this on VH-1 Duets, accompanied by Jewel, Joan Osborne, Paula Cole and Sophie B. Hawkins? On her latest, Into the Blues, Armatrading returns, favoring a slide guitar. This 429 Records album is one that Armatrading confesses that she has been intending to make for awhile. Few realize she is the only female performer to have a guitar in the legendary guitar section of the global touring exhibition Born to Rock. The Me Myself I singer-songwriter is slated to perform at The House of Blues on June 16. Kate Havnevik may not be a household name yet, but she has worked with more established artists. In an act of desperation, she sang backup for Britney Spears, but she has also opened for Sigur Ros; collaborated with fellow Norwegians Royskopp on the pair's sophomore set, The Understanding; and currently is touring with French chill-out duo Air. Havnevik's debut, Melankton, is produced by the highly sought-after Guy Sigsworth ( Bjork, Madonna, Frou Frou ) . Upon listening to it, I immediately heard the similarities to Frou Frou on the opener, Unlike Me. There are even hints of Hooverphonic on the track It's Not Fair. The beautiful Havnevik's songs have been licensed to current and former prime-time programs like Grey's Anatomy, The West Wing and The O.C. This outstanding debut fits among the great female electronic groundbreakers from Scandinavia like Frost or Bertine. Havnevik opens for Air May 4 at The Riviera Theatre. Spawned from three of the industrial-alternative's biggest acts, KGC explodes with its debut, Dirty Bomb. The trio consists of Dean Garcia of Curve; Sascha Konietzko of KMFDM; and Lucia Cifarelli of KMFDM and Drill. Dirty Bomb unites the worlds of Evanescence, Garbage and, yes, even Shakespears Sister. KMFDM Records is issuing Dirty Bombs exclusively via kmfdmstore.com and iTunes. Looking for something to play in the background during a romantic dinner? Then feast on Jane Monheit's Surrender. This Grammy-nominated vocalist's seventh album is produced by Jorge Callandrelli ( Celine Dion, Tony Bennett, Barbra Streisand ) . Edging away from her jazz past, this 29-year-old songbird is slowly succumbing to a more bossa nova sound on her latest CD. This Concord Records release includes Monheit's versions of Stevie Wonder's Overjoyed, Sergio Mendes' So Many Stars and the classic Moon River. Highlights from the Global Groove Tour are captured by DJ David Knapp on Global Groove: Live. Out via Centaur, this upbeat set has the internationally renowned DJ's signature sounds with feel-good dance music accented by divas and covers. Sonique, Pepper MaShay, Chicago's Suzanne Palmer and Joi Cardwell keep this collection thumping with new material like revamped versions of Not Ready To Make Nice and It's Not Right, But It's Okay. Knapp is scheduled to return to Chicago to spin at Hydrate on June 30. With her latest retrospective, Greatest Hits: Straight Up, Paula Abdul reminds fans that she is forever your girl. Launched into mega-stardom thanks to her debut album, Abdul knocked out the competition by scoring 11 Top 40 hits between 1988 and 1995. While some songs do not fare well against the test of time, others—like Blowing Kisses In The Wind and My Love Is For Real—keep me hopeful that Abdul will not limit herself to being a panelist on that popularity contest disguised as a talent show or writing material for others, as she penned Kylie Minogue's hit Spinning Around. Now only if Simon Cowell would have written the linear notes. FYI: Amy Winehouse's upcoming Chicago concert on May 3 will now be taking place at The Vic Theater, 3145 N. Sheffield, at 7:30 p.m. instead of those two performances at Schubas.